A new and joy-filled season in parenting is when one gets to car shop with and for his or her teenagers. After all, their unrealistic expectations are rooted in youthful optimism. Any sense of the actual cost to operate a vehicle flies higher than a bald eagle on a warm updraft. Who wants to worry at the very moment of selecting their image-maker-dream-come-true vehicle about such mundane things as maintenance, oil changes, tires, insurance, yearly license and registration fees? Well, the parent, for one. Therefore, one of the duties of parenting is to gently but firmly bring them down to the reality of terra firma. just above the poverty line with no benefits – she knew the reality of getting any vehicle at all was slim. So, she was overjoyed to have one to call her own. It had been well-maintained and, while it did not rank high on the coolness factor, was her own transportation. She had a certain amount of freedom that she would not have had sharing our family vehicle. I was happy for her. Unfortunately, the day came when the old Dodge Shadow ‘gave up the ghost.’ Its death could not be avoided. Whether due to the mileage or the harsh North Dakota winters, it stopped running and became a driveway ornament. This launched us on a mission to find another vehicle for her. She had a job and school. Coordinating those activities with her mother’s needs and my own was going to prove a nightmare. One day, while her oldest brother, Gareth, who was on military leave from Afghanistan, and I noticed a baby-blue 1971 Cadillac Coupe de Ville with a “For Sale” sign on it. It was parked by the Firestone store on George Washington Way in Grand Forks. You couldn’t miss it. The seller wanted $1,000 for it. It looked in good condition. It had more chrome on it than 100 of today’s vehicles put together. The bumpers could have been used to weigh ship anchor for the U.S.S. Enterprise. It was, truly, a thing of beauty. Gareth and I kidded one another about buying Cara THAT car. Now, before you judge my daughter or my family of being to proud to drive around a 1971 vintage anything, there were some practical reasons for not considering it seriously. First, the gas mileage would make operating it prohibitive. The plus side would have been that she could never get very far with it. But we could not really consider something that would take a budget slightly larger than the Lithuanian’s annual GDP to operate each month. Second, my daughter is 5’6″ and 115 lbs. It would have taken three or four Grand Forks phone books just to get her to be able to see and drive. We did not have that many phone books. The plus side was that she would have been surrounded by more heavy duty metal than our troops go into battle with today in their Humvees. They just do not make cars like that anymore. The number one cause for auto body repair in North Dakota is hitting deer crossing highways. The bumpers on that vehicle would deflect a small buffalo. 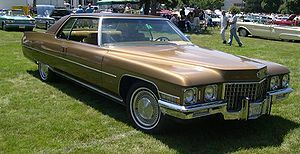 Anyway, Gareth and I had a good chuckle talking about and picturing Cara behind the wheel that 1971 Cadillac Coupe de Ville. The reality of it was that the car deserved to be owned by someone who would appreciate the cars vintage, make, and model. It would not have gotten the respect in our family that it surely deserved. Nevertheless, I could not help myself one day when Cara and I were driving up George Washington Way and saw the car parked alongside the road. I saw a moment for some fun. “Hey, what do you think about that car?” I said pointing out the baby-blue Cadillac. “What? That big one? It’s kinda’ cute. I like the color,” replied Cara kindly but a little guarded. “You’re brother and I are thinking about getting you that. What do you think?” I said, pushing the idea a little more. My sweet daughter. She’s thinking real practical. Fear will do that to you. But I could not just let this go. So, I fibbed a bit to draw out the drama of the moment. Of course, these were all good points. But, at this point, I am having too much fun and I am having trouble not smiling or breaking out into laughter. By now, I could tell Cara was conflicted. She needed a car. She appreciated the idea of her brother buying her a car. But just not THAT car. By this times the giggles and guffaws had over taken me and now I was in tears from laughing so hard. I am sure that other drivers on George Washington Way must have been wondering what was going on in our car. I wiped the tears from my eyes and continued chuckling to myself. What a priceless father-daughter moment. At least to my way of thinking. She probably claims to be scarred for life from it. I, however, will cherish it. Still to this day, whenever I see a 1970’s vintage, lots of chrome, big-bumpered car, I think back to that moment. Like this last summer when I visited the Cool Desert Nights Car Show in Richland, Washington. There were so many beautiful old cars. 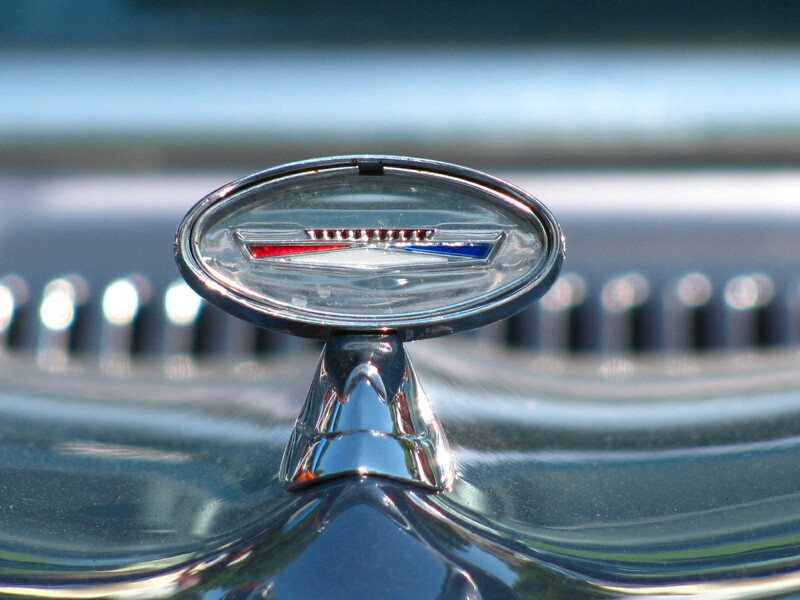 But the ones that made me pause the most were the 1970’s vintage Cadillacs. There I stood smiling from ear-to-ear with a tear in my eye. Some experiences are just worth living again and again. Ron, I loved your story. I love old cars, and I really love being Dad to three young ladies. My oldest left for Valley Forge Christian College 4 weeks ago, so I’m really a sucker for Father-Daughter moments. Thanks for stopping by and reading, Harvey! I’m a real sucker for father-daughter moments too. My girls have me wrapped around their fingers. The problem is that they know it. Cara – the one I wrote about – is in Grand Forks, ND. and it’s really hard being so far away from her. So, I know the pain a father goes through when his daughter(s) is so far away. Thanks for the encouragement. Great article …Thanks for your great information.I will be waiting for your next post.